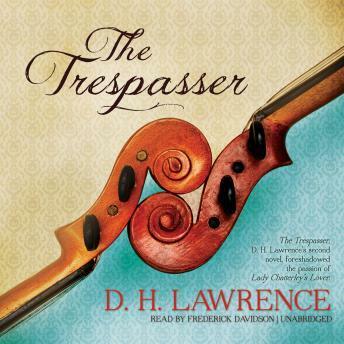 The Trespasser, D. H. Lawrence's second novel, foreshadowed the passion of Lady Chatterley's Lover. Helena Verden, a young woman in her late twenties, and Siegmund MacNair, her violin teacher, are in love. But there is more than one obstacle on their road to happiness. Siegmund is a married man with children and Helena, is full of inhibitions. They spend a week together on the Isle of Wight, their passion remaining unrequited. When they return to London, Siegmund faces a deadlock. Tormented by his family's bitter reproaches, he is nonetheless unable to desert them for Helena. His solution to his dilemma turns a woman's longing for love into tragedy. Lawrence based his novel on the true-life experiences of his friend Helen Corke, as revealed in her diaries.